We had a great week, and I would like to thank everyone who played along! We had so many beautiful cards to choose from. Several of them caught my eye, and I had a difficult time picking just one. 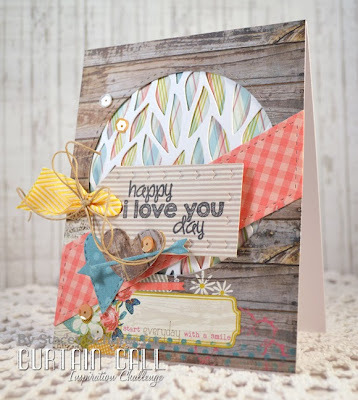 Here we go..............................This week's winner is Stacey Schafer with this gorgeous card! Isn't this lovely! I love the layers, textures and all of that great color! Great job, Stacey! Please send me a message at sharynp281@comcast.net with your e-mail information and I will send your badge to you. Please check back with us tomorrow when Lisa reveals her Inspiration Photo for our next challenge! woo hoo! thanks so much, GIRLS, for the shout-out!